This is a great game. But i would love it if u can add more things like do more things with your girlfriend or wife. Also I think u should make it more realistic. And do stuff for example do more things like being more realistic with stuff in school. And just be able to do things you want. And also have more options and be able to do dirty things 😏. But it’s a great game but they need to give us more options. This is a great game and one of the best simulator games I’ve ever played. I love how often you guys update the game. If I could add to the long list of suggestions I’m sure you guys have: in some countries men have to serve in the military for a period of time (Korea, Taiwan for example) I think that would be a nice touch to the game. Also, I think the education part should be more interactive. Instead of only having the option to study harder maybe have sports options, options to skip class, options to cheat on tests, etc. 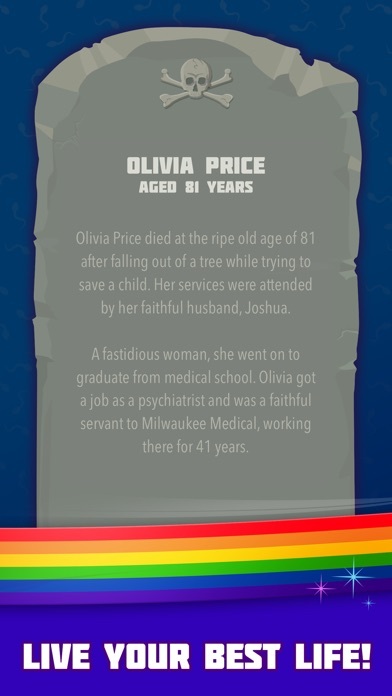 I think BitLife is a great game! 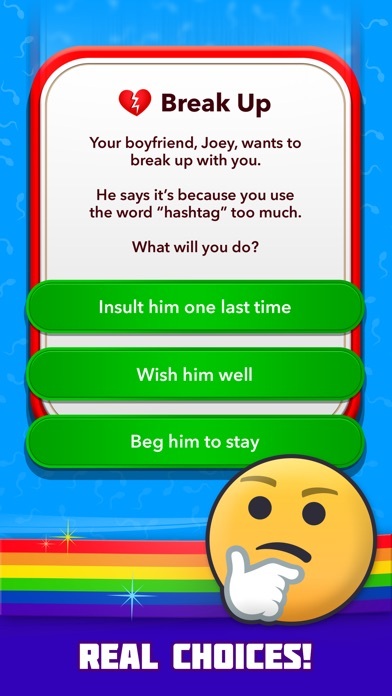 However, I think it would be better if BitLife could be multiplayer, like if people could connect and play with their characters together instead of only having one person play. I have an idea...maybe you could make an option to kiss someone? I know it sounds weird but maybe it would make the relationship better with the couple! 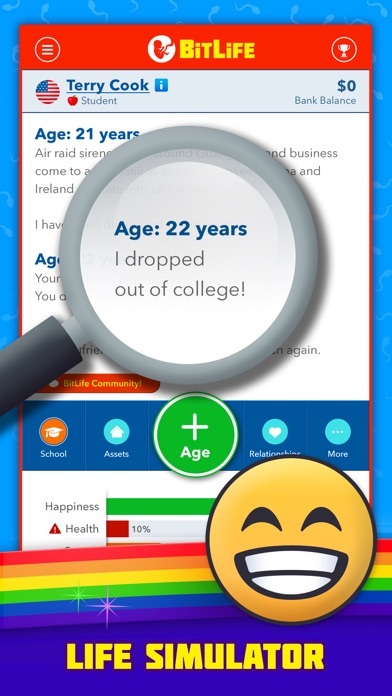 Also, can the grandparents ask if they can take your children out somewhere in BitLife? Please respond back, thank you!! i love this game but i would love to be able to breed dogs on the app. i would also like for it to give the parent the option to but their kids a pet! great game!! I think the unlimited generations should be free, because if you have a lot of money in the game or want to live for 100 and 100 of years of your family it will make it more realistic and much more fun. Also some people can’t pay for this so just make the unlimited generations free! This game is really good! I don’t like bitizenship because some of the best opportunities have to be unlocked by bitizenship. Can you please get rid of bitizenship because it’s annoying how I want a good opportunity but I need bitizenship, so, can you get rid of it please? 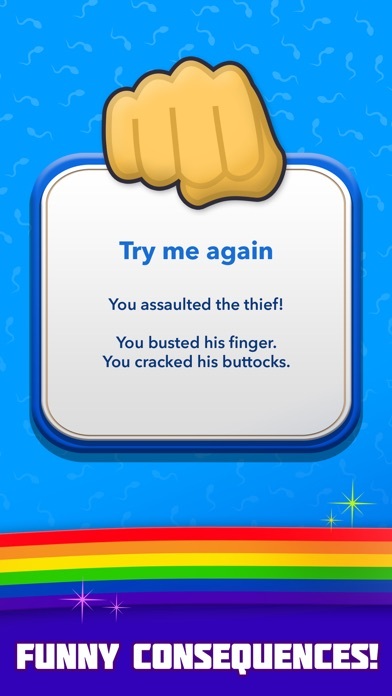 Also can you add mini games to all of the crimes because I don’t like to depend on luck. Can you also try to add more crimes because I just want it to be more diverse. Thanks! I love this game so much! I’m totally addicted, and it’s so cool how many things you can do with it. I just think It’d be awesome if step-siblings/step-parents/step-children were introduced into the game. Like if your parents could get divorced and then get remarried to people who already have kids. Also, if you could marry someone who already has kids. I just think it would be pretty fun. This game is amazing and I can’t wait to see what else happens with it! Best game ever but I don’t understand why it’s 17+? I feel like this game is amazing! When I first saw the new pet update, I was so excited! I decided I wanted a dog, but they are bitzen only. Same with other things, and I was wondering if you could do a month or week trile for the game. I feel like that would be a nice opportunity to have a chance to play other things too, so I could save up and buy it myself. Don’t get me wrong this is probably the best simulation game on the App Store but, every time I go on to click anything it starts freezing and glitching and brings me out of the app I’ve tried deleting it and reinstalling it but that won’t seem to help, But overall I love this game! I feel like more things should be added to crime and more things to your sibling and family members, and maybe on the jobs there should be like a social media star idk. Anyways I love the new update you did on the game there’s way more job options and you can now feed your dog! This game allows u to be your self in all actions!! If you can please remove the thing where you have a hookup and it says “she tells you she used to be a man” Using someone being transgender as a shock tactic is offensive. Stop it. I love BitLife but I have an idea I think that we should have the option to change our hair like have ,curly hair, bald from cancer of just shave it off, orange hair, and different hair colors, blue, purple, green, etc. i also think you should let us pick what our person looks like. You added that we can edit our name why can we not edit our avatar. I love this game and it very addicting but I hope you can maybe add this to the game? This game is so fun! The only reason I’m giving it a two star is because even on airplane, I still get ads. PLEASE STOP SHOVING ADS DOWN MY THROAT EVERY FEW SECONDS!! We get it.. this game takes a while to make and what not, but it use to not be this bad. 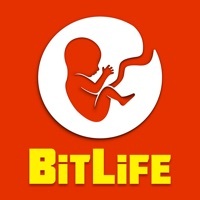 If people who make bitlife are reading this, I would appreciate if you lessen the amount of ads. AND IM NOT PAYING $4 TO BECOME A BITIZEN. Don’t get me wrong, I love this game and that’s why I decided that I wanted to complete experience. I payed $2.99 for Bitizenship on Tuesday March 19th. Nothing about my game changed and I still had the icon that said, “Become A Bitizen” at the top right corner. I even received a notification from the App Store that they had received my payment. I thought that it might just take a few minutes for the game to load and update. Well minutes turned into hours and hours turned into days. I hit the ‘restore purchases’ button continuously but nothing changed. I emailed Candywriter (the app developer) stating my issue. I received a confirmation email that said they were working on it and on the bottom it said that my email was “Case 136760.” I never received anymore information or update on my issue so I decided to send a follow up email about a week later. Again Candywriter’s response email said the same thing, “in response to case 136760.” This made me suspicious. I recently sent a third email and the response was exactly like the first two. This is the only way that I can think of to get my issue to Candywriter’s attention. Please fix this. I would very much like to receive my Bitizenship or at the very least receive a refund. Great app, but please have your spouse and your own net worth combined when you marry. Also, you should be allowed to have a job while in college. please add child support and more interaction with the children and parents like options to buy your children a car or even a house. Add child support bc if i’m a girl in bitlife and i have a one night stand pregnancy the baby daddy can’t just disappear. joint accounts during marriage only would be a good idea bc it seems like when u get married financially everything is on the player and that’s a little stressful please try to adjust that. Hello Devs, Love this game and totally understand that there’s an option for an ad free experience...but the game starts to get a little too repetitive to personally want to get the ad free option. I keep having to click and close the game and then re open it just so I don’t have to see the same ad over and over again. By the time I want to play the game the ads just come back even on airplane mode. I believe with more work this game has potential. It needs a refreshed ux design and a away to make your own avatar and such. It just feels like it’s missing so much. Again love this game. Too many ads for poor people like me. The game is fun, but the become a bitizenship ad pops up too much. It popped up and when I tried to leave the app, it purchased the membership. I was charged with $5.40, but I do not want to have a bitizenship. How do I cancel this? I love this game a lot and find myself playing it out of boredom for hours sometimes! But sometimes I feel like the relationship list can get become a bit repetitive. I think adding in a way to contact past ex’s or people you’ve had children with, would be a fun idea! Maybe adding a phone book section to the game that gives you the option to contact previous ex’s for a possible reconciliation. It could asl I have the contact info of cousins or friends that we could spend time with. Also, I think it would be good to include the living situation when the game first starts. Like do I live at home with my parents? Do I move away for college? I would like to know about my living situation before I save up money to buy a house. Just some suggestions! Over all I love this game and I really love how the app developers continually update and improve it! I was not so big on this for a reason because of the selection last year. But boi you guys blew me away from the frequent updates. I was about to uninstall this app last year. But in my mind i was thinking these developers have potential. And i know you guys will fulfill those promise to ur fans. I just hope u add sports or becoming a pro athlete in sports like fighting to espn sports. I know u guys might not get to this review. But some of ur fans responded the same way about adding more into it. And i know u guys are the real deal as a developer. Giving the fans what they want. I think it's an amazing game, I love all the stuff there is to do in it and the new Generations update is great. However, there are a few things I feel that need to change. Crime. There should be more options, more organized ways, etc. I don't want to just kill peiple and that be that, or steal a car.I wanna rob a bank, lead a crime organization (it could be like another social media thing, but with choices that affect how popular it gets, and easier in certain cities etc) Social Media. Just make it easier, please. Ive already bought Bitizenship but having to go to Activities and down over and over is a pain. Maybe go down for the initial join, but once that character is in it maybe put it up top by income or balanace? And lastly you should be notified if you're out of a job with a degree, if it can be put to use. Sometimes I just forget. Or be able to sort by degree maybe? Other than that, great game! I am obsessed with this game! I’ve played it everyday and I love that you guys update so frequently. I was thinking that’d it be soo helpful if there was a way that it would enable each player to kind of minimize or organize the relationships tab? It becomes hard when you have 20 kids and 25 nieces and nephews then a ton of siblings and grandkids. Its hard to kind of get good relationships with the people who you want to have relationships with. I don’t know if that makes sense but also if there was a way to kind raise multiple peoples relationships at once other than vacations. maybe a party option or something like that where you can choose who you want to go. Or a way that you can select like all your kids and spend time with them all at once. That’d be soooo great! Anyways thank you for everything you do! I hope you see this! I loved this game but the ads ruined it and I quit. The game is great! It has all of what a simulation would have! But I do have a suggestion. How about this: we are able to make BitLifes with custom stats, so we could intentionally change the looks, and smarts, and health of our bit life! I think this would make the game more interesting and fun.